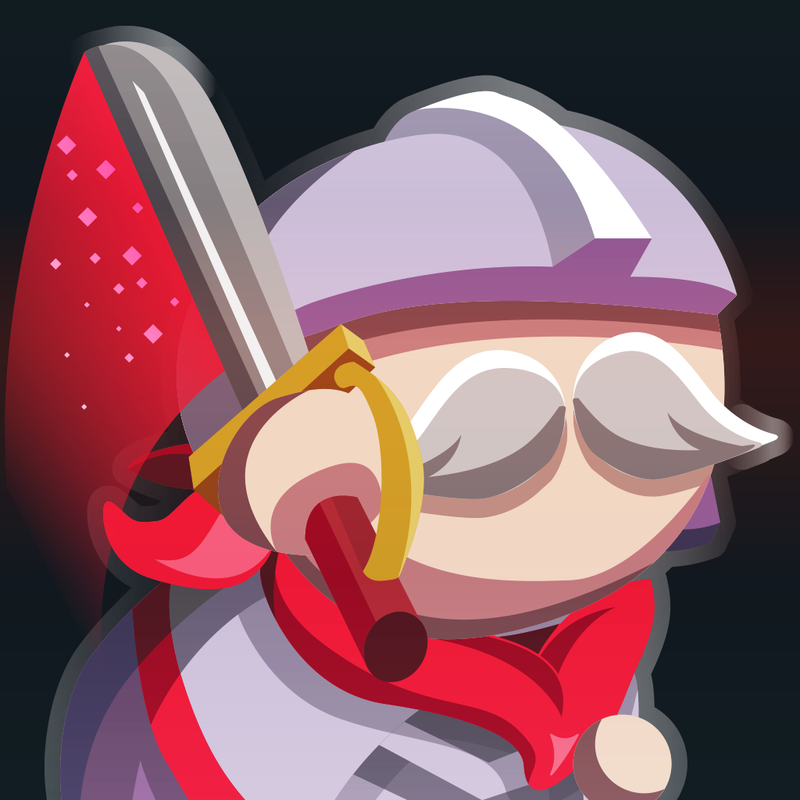 The Long Siege ($1.99) by Anomaly Studios Pte Ltd is a unique, real-time strategy game with RPG elements and match-three gameplay. If you liked other games like Hero Emblems and You Must Build A Boat, then you’re going to love The Long Siege. 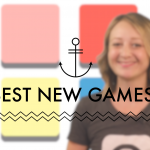 While I have gone through hundreds of iOS games over the past several years, my favorite genres continue to be RPGs and match-three games because to me, they’re just a great way to pass the time. I mean honestly, who hasn’t lost themselves in a good match-three puzzler at some point in their life? My last addiction was You Must Build A Boat, which I still play every now and then, but when I saw the trailer for The Long Siege, I knew I had to have it, even though I’m not normally a big fan of real-time strategy since it’s not my strongest forte. Fortunately, The Long Siege is a perfect blend of three genres, and definitely one of my favorites this week. The visuals in The Long Siege are gorgeous, and one of my favorite things about the title. 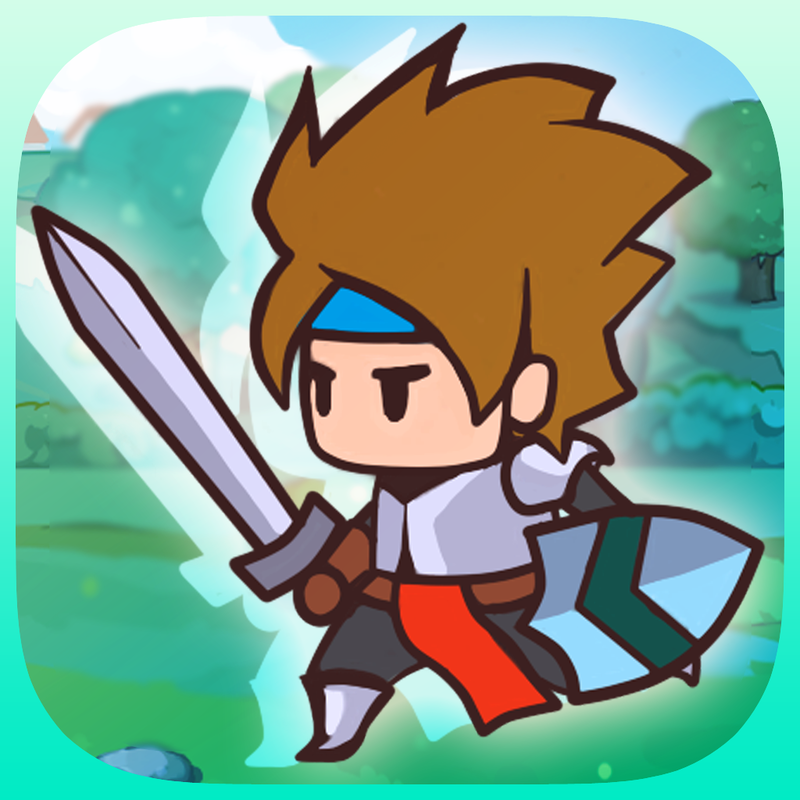 The Long Siege features a distinctive cartoonish art style that I’m digging, with an idiosyncratic appearance for each unit that you can summon. Environments are filled with minute details, and the dynamic weather and day-to-night cycles that occur in the background give players a sense of progress through stages. The animations in the game are all smooth and fluid, from game menus to summoning units and conquering the enemies. The soothing classical soundtrack is also a delight to listen to in the background, and the sound effects of battle are a nice touch. Overall, Anomaly Studios hit it out of the park in terms of visuals and audio here. In The Long Siege, players must advance through the game by summoning units with matches and conquering the enemy tower, all while defending your own base. While the game starts off easy, things start picking up rather quickly. 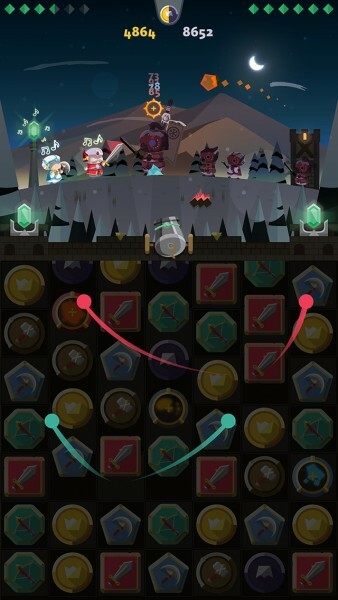 As you reach the higher towers, you’ll face off against stronger enemy units as well as formidable boss battles. 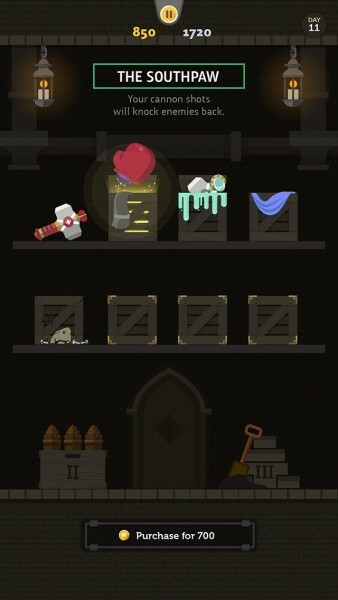 There are also three objectives that make up a “quest,” and if you can clear the tower while meeting these requirements, you’ll be rewarded handsomely with coins and character points for skill upgrades. However, if you fail the level but have the quest goals met, you won’t get the rewards until you overcome the stage. This can be a bit frustrating, but it gives players a greater sense of achievement when they finally get past their wall. 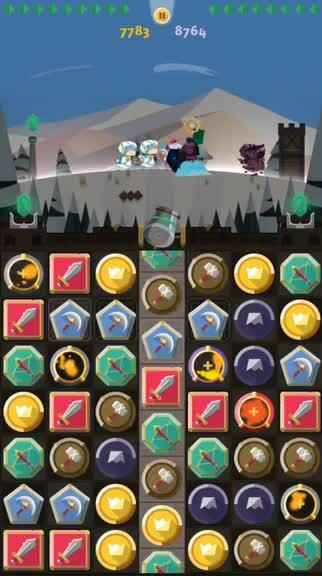 While The Long Siege is a match-three game, it does not have the traditional controls you’d find in a game like Bejeweled, where you can just swap one piece at a time, or like in Puzzle & Dragons, where a piece can be moved around anywhere on the screen. Instead, The Long Siege goes with the You Must Build A Boat formula, where you have to move rows and columns at a time. 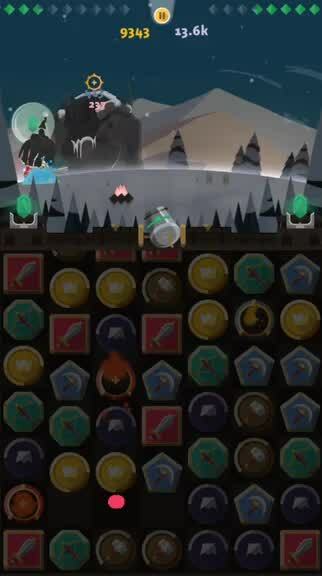 One thing that makes The Long Siege’s controls different from You Must Build A Boat is the fact that you cannot continue to move lines after a match or combo is in progress. This means that you have to be more tactical about your matches. There are three different unit types in The Long Siege. The warrior is represented by the sword tiles, an archer has the bow blocks, and the mage has the staff pieces. If you make a match of three of these tiles, you will summon a unit of that class. 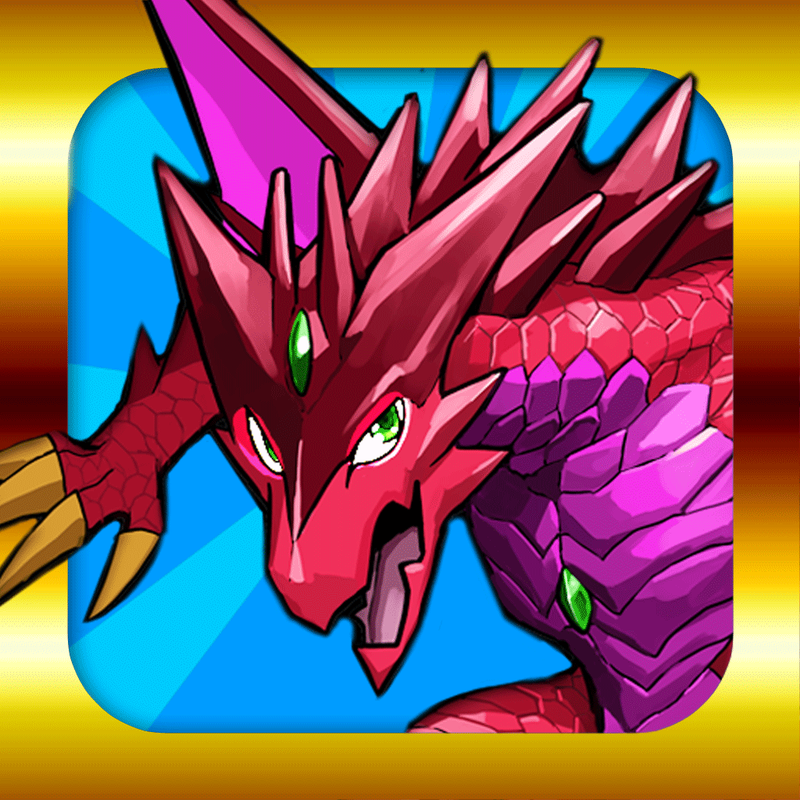 When you make a match of four or more, you’ll summon a giant version, which has more health and can deal more damage. 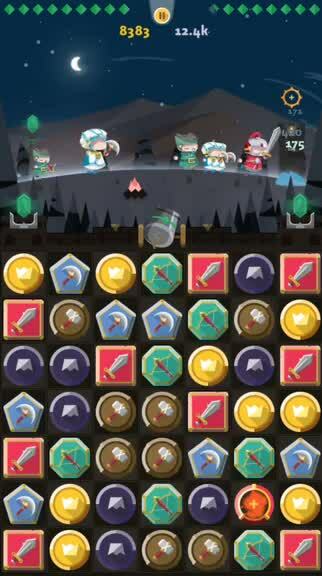 Additionally, there are other tiles that you can match up, which involve shields for upping your tower’s defense, coins for money, and hammers for repairing and healing your base, which is necessary to summon units. If your tower is damaged and you hear the alarm, you must repair it, as you won’t be able to call out more units until it is fixed. 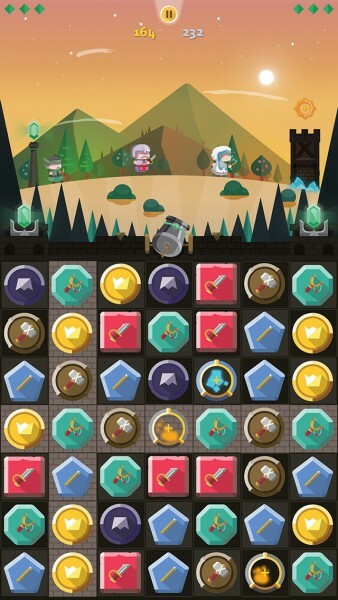 Making a lot of matches also provides cannon tiles on the board, which you can tap on to attack the enemy with your cannon. This is necessary for obliterating foes equipped with shields. 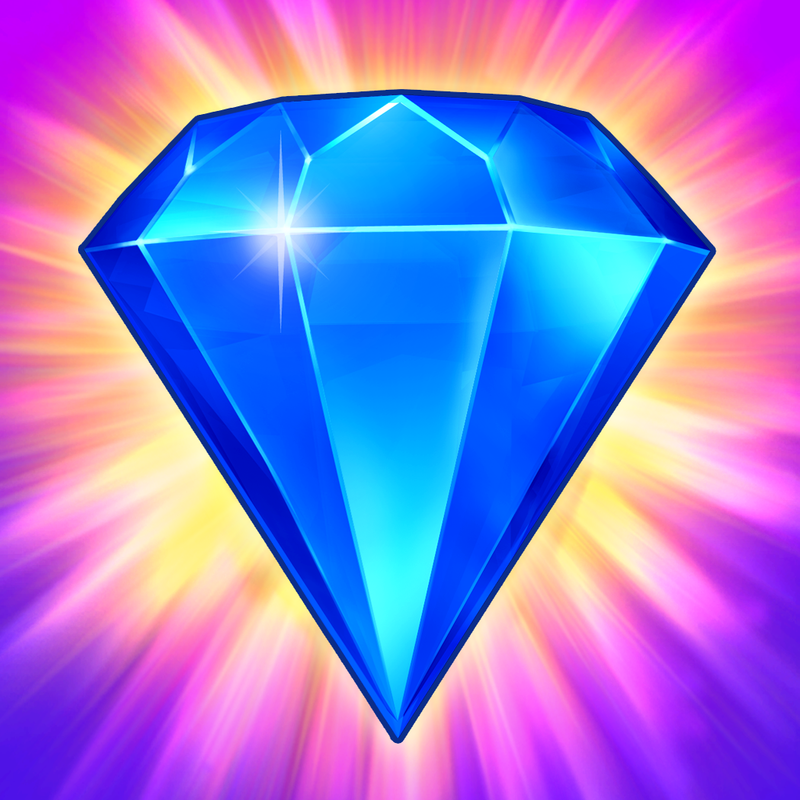 As you play through the game, whether you pass a stage or not, you can earn gold coins and character points. 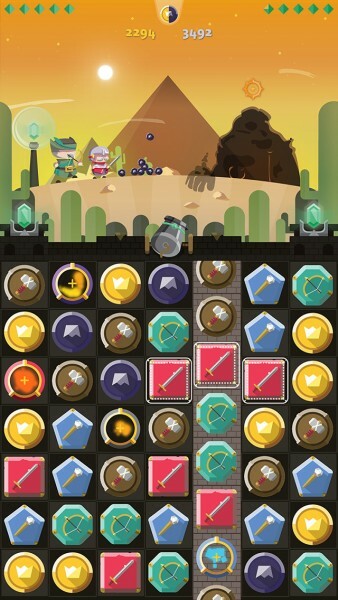 The coins are for upgrading your tower’s defense and health, while points are for boosting your unit’s health and damage output. When you max out a character’s stats, they reach the next rank, thus giving you the option to activate a new skill that can help out immensely in battle. As I mentioned, there are boss battles that happen every couple of levels. If you manage to best these beasts, then you’ll earn upgraded abilities for your team, such as an added level of protection for summoning, as well as knocking back enemies when they are hit with the cannons. 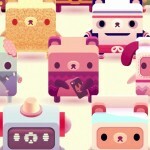 However, earning all of these may take some time, since the game gets fairly challenging. I’ve been playing The Long Siege for a few days now, and it’s one of my favorite games this week. The visual style is beautiful, the music is soothing, the controls are easy to learn but difficult to master, and the gameplay is a great mix of three popular game genres. I’ve hit a point where I’m a bit stuck at the moment, but I can’t help but keep playing in an attempt to earn more points to boost my units. In fact, I have already sunk several hours into the game, but I just keep coming back for more. 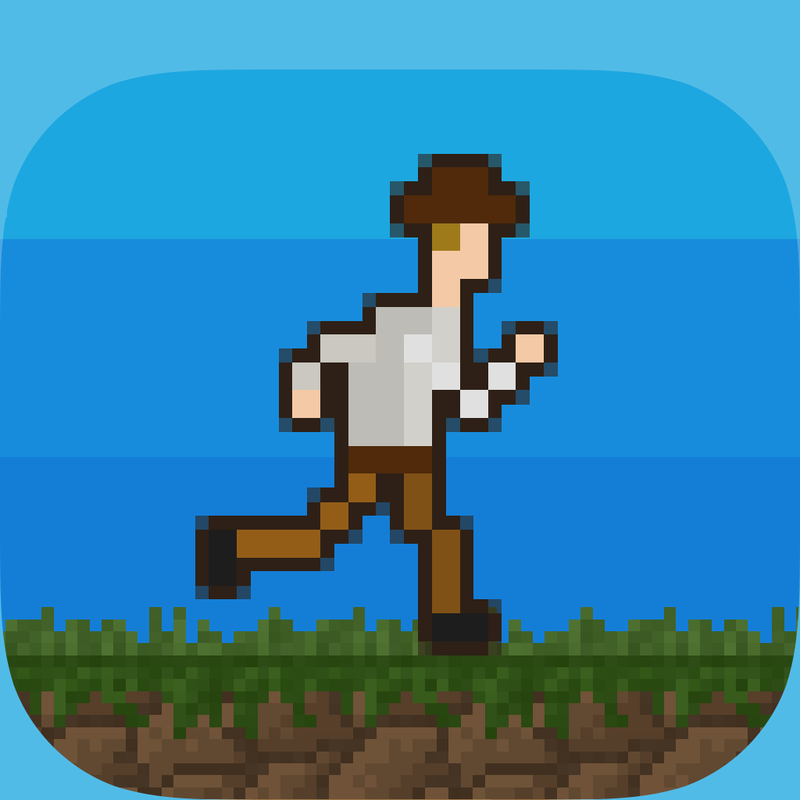 I highly recommend this game if you enjoy match-three puzzles with RPG elements mixed in with real-time strategy. It’s just an incredibly in-depth game experience you just have to try for yourself. 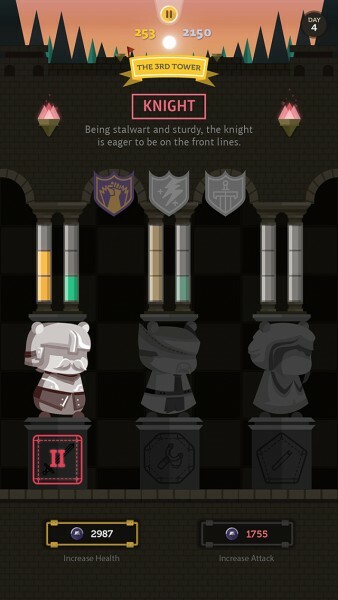 The Long Siege is available on the App Store as a universal download for $1.99.